You know that Libor is the largest economic scam in world history and the largest insider trading scandal ever. You know that the Federal Reserve knew about the manipulation by August 2007. And see this. 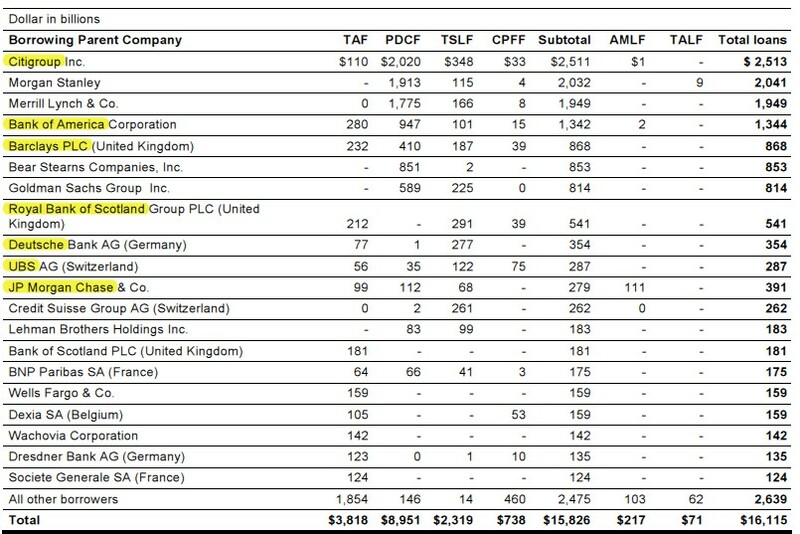 But did you realize that the Fed and Treasury threw billions of dollars of taxpayer money at Barclays and the other Libor-manipulating banks after they knew about the manipulation … and did nothing to stop it? Thanks to the GAO audit of the Fed — an audit which it vigorously resisted — we know that Barclays was the fifth largest recipient of emergency loans. 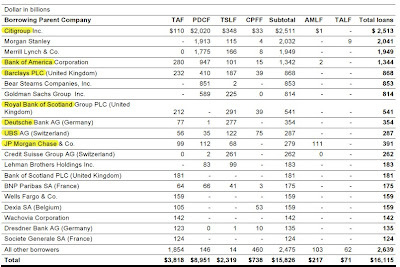 Bailout loans for Barclays came to $868 billion. That means that Barclays probably made billions off the reduced interest rate alone, courtesy of the American people. Those loans were granted between December 2007 and July 2010. That means the Fed was doling out billions to Barclays after it learned that the bank was lying about its LIBOR rates. Source: GAO analysis of Federal Reserve System data. No, the criminals haven’t paid back the bailout money, American taxpayers are still bailing them out and helping them grow bigger, and the banks are committing more fraud every day. The government isn’t doing anything to rein in the big banks … no wonder people are starting to call for bankers’ heads.